Traditional rivals - the Congress and the BJP - locked horns in 68 constituencies as Himachal Pradesh voted today. 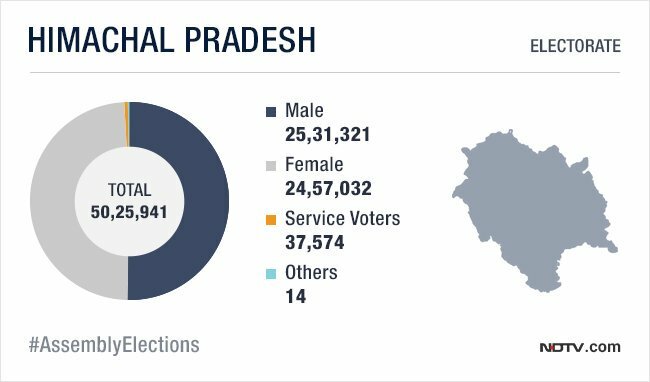 In this time's Himachal Pradesh Assembly Election, 337 candidates including 62 legislators were in the poll fray. Among the heavy weights are Chief Minister Virbhadra Singh, former chief minister Prem Kumar Dhumal, eight Chief Parliamentary secretaries, Deputy Speaker Jagat Singh Negi, 10 ministers and over a dozen former ministers. 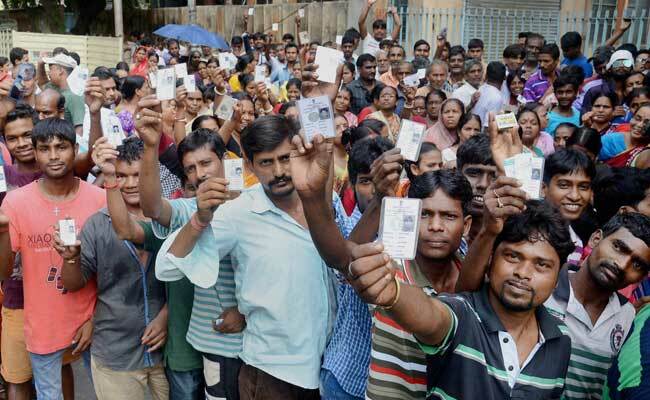 A total of over 50.2 lakh voters consisting of over 25.68 lakh male and 24.57 lakh women voters were suppose to cast their votes today. 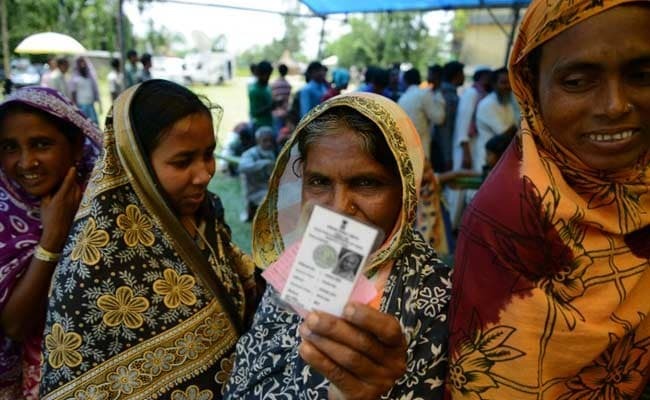 The elections were held at 7,525 polling stations across the state. According to the poll panel, Lahaul and Spiti is the largest constituency area-wise but the smallest in terms of number voters. Dharamshala, with 12 candidates, is the constituency with maximum candidates, while Jhanduta reserved seat has the minimum candidates with only two candidates. 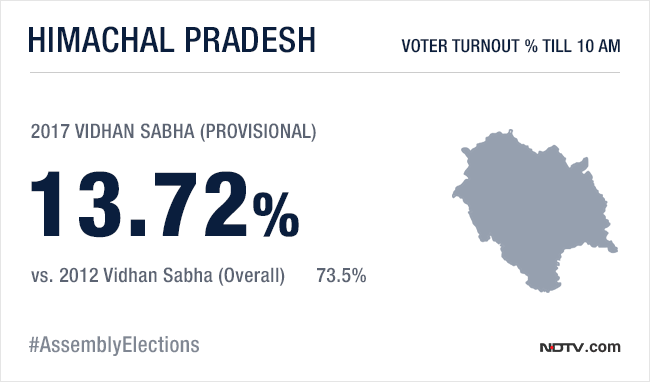 The provisional voter turnout for the Himachal Pradesh assembly polls is 74%. 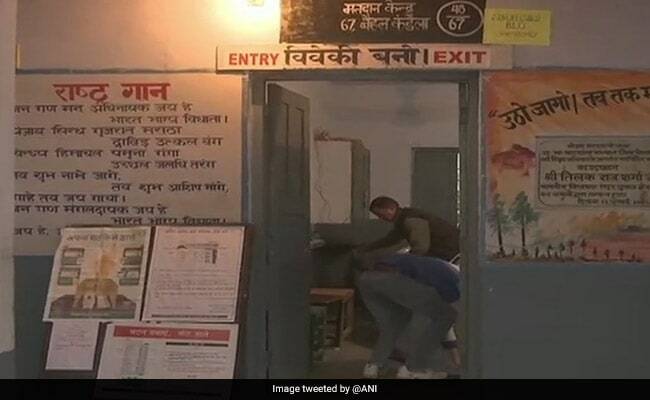 Voting for the assembly, which started at 8am, came to an end at 5pm, but continued in some booths were people were still waiting to cast their votes. 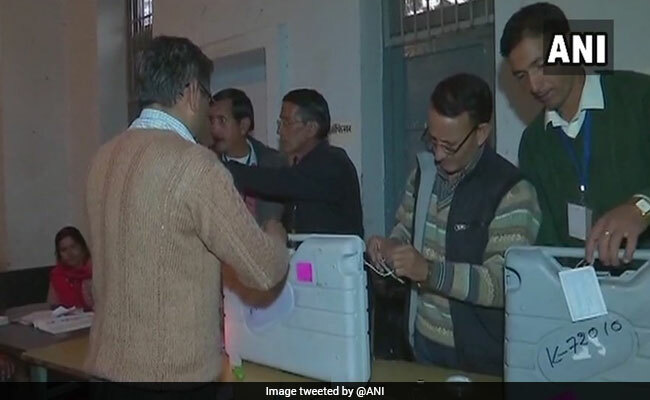 Polling for Himachal Pradesh assembly elections ends. 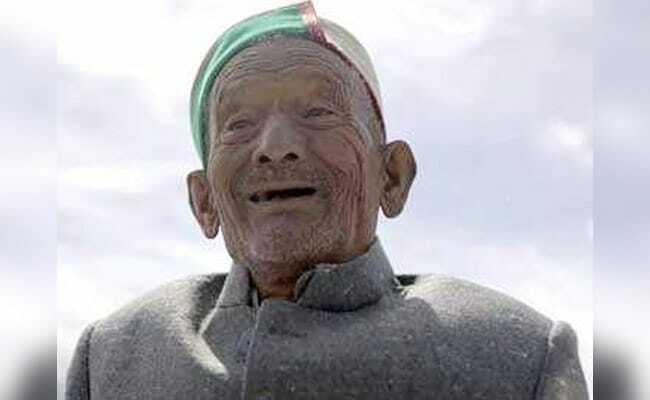 India's oldest voter Shyam Saran Negi cast his vote in Kinnaur, says everyone must work in the nation's interest. A government school teacher who retired in 1975, Mr Negi was among the first to vote in independent India's first Lok Sabha elections in October 1951 in Chini constituency, which was later named Kinnaur. At that time, balloting in the snow-bound area was held ahead of other places in the state and the country. The estimated turnout as of 4 pm is 64.8%. The polling started across the state at 8 am and at several places in Chamba and tribal areas five to ten per cent polling was recorded. Shimla district recorded 18 per cent polling, Hamirpur 17 per cent, Chamba 12 per cent, Kangra 14 per cent, Mandi 16 per cent, Una, Hamirpur and Bilaspur 15 to 20 per cent and Solan and Sirmaur 18 to 20 percent. 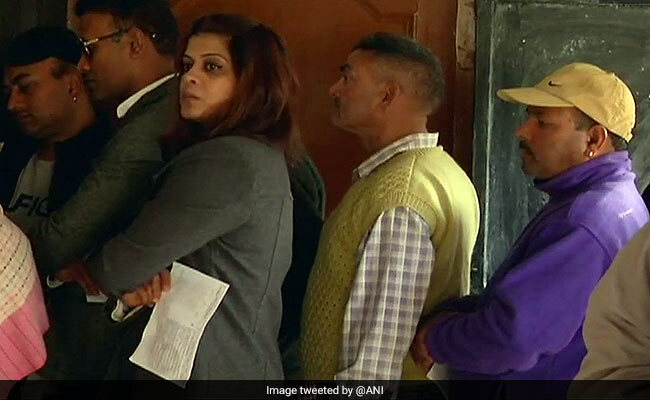 Polling started on a dull note for 68 Assembly seats in Himachal Pradesh today with 13.72 per cent voters exercising their franchise in the first two hours. Chief Minister Virbhadra Singh exercised his franchise at Rampur while former chief minister P K Dhumal cast his vote at Samirpur along with family members. #Hamirpur: BJP's chief ministerial candidate Prem Kumar Dhumal and BJP MP from Hamirpur Anurag Thakur cast their votes. 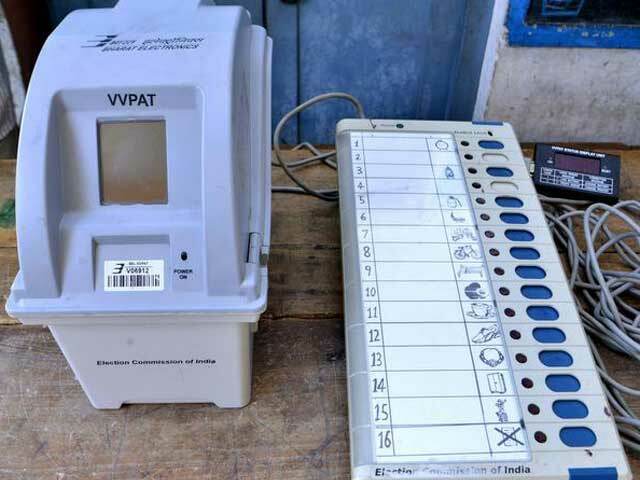 Reports of fault in VVPAT machines were received in Sirmaur district while polling stated late by 15-20 minutes in some polling booths. The first two hours of polling saw a tur out of 13.72 per cent. Shimla district recorded 18 per cent polling, Hamirpur 17 per cent, Chamba 12 per cent, Kangra 14 per cent, Mandi 16 per cent, Una, Hamirpur and Bilaspur 15 to 20 per cent and Solan and Sirmaur 18 to 20 percent. The state has 100 per cent Photo Identity Card (EPIC) holders and 7,525 Electronic Voting Machines (EVMs) and Voter Verifiable Paper Audit Trail (VVPAT) are being used. Web-casting would be used in 2,307 polling stations in the state for live monitoring of polling activities in the state. Prime Minister Narendra Modi urged people of Himachal Pradesh to come out and vote in "record numbers" for the assembly election underway. आज देवभूमि हिमाचल प्रदेश में मतदान का दिन है। मेरी विनती है कि सभी मतदाता लोकतंत्र के महापर्व में भाग लें और भारी संख्या में मतदान करें। Urging people of Himachal Pradesh to vote in recrod numbers. Congress's Virbhadra Singh with his Son Vikramaditya Singh and his wife. The ruling Congress led by chief minister Virbhadra Singh, and the BJP led by former chief minister Prem Kumar Dhumal are contesting all 68 seats while the BSP is contesting 42 seats, and the CPI(M) 14. Some others include the Swabhiman Party and Lok Gathbandhan Party contesting six each and the CPI contesting in 3. 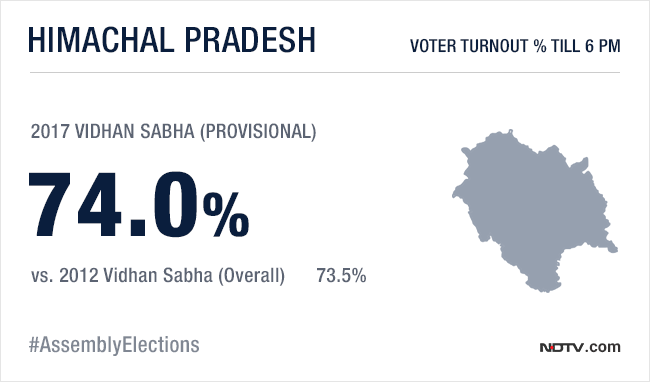 13.72% voter turnout recorded in first two hours of polling in Himachal polls. BJP's Prem Kumar Dhumal casts his vote. 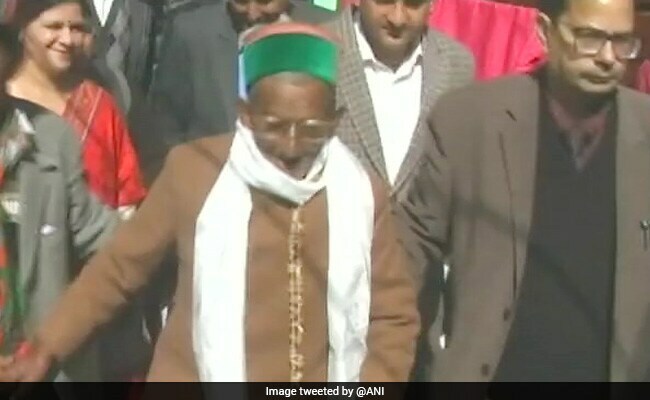 A red carpet awaits 101-year-old Shayam Sharan Negi, first voter of Independent India, at Kalpa polling booth in tribal Kinnaur constituency when he goes to exercise his franchise tomorrow." A party needs to win at least 35 seats to form government in Himachal Pradesh. In 2012, the Congress had won 36 seats and currently holds 35. The BJP had won 26 seats five years ago and now has 28 MLAs. The BJP built its Himachal Pradesh campaign around the corruption charges that Virbhadra Singh faces. The Congress attacked the BJP over demonetisation and new national tax GST. 17,850 police officials and Home Guards and 65 companies of central paramilitary force have been deployed for the Himachal Assembly elections to be held smoothly. 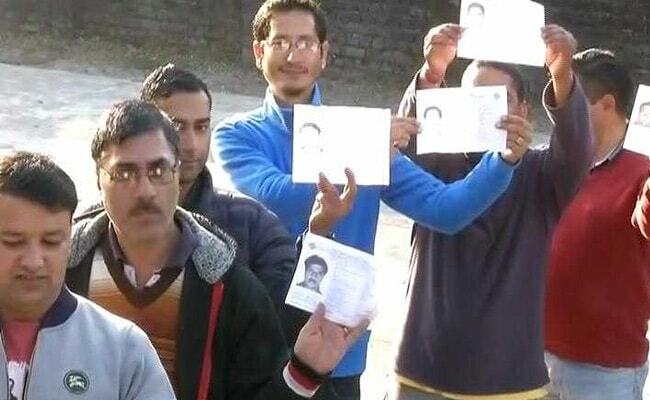 Tibetans born in India between 1950 and 1987 will be voting for the first time in Himachal Pradesh today. 50,000 ethnic Tibetans have been given voting rights for the first time after the Supreme Court order of 2014. 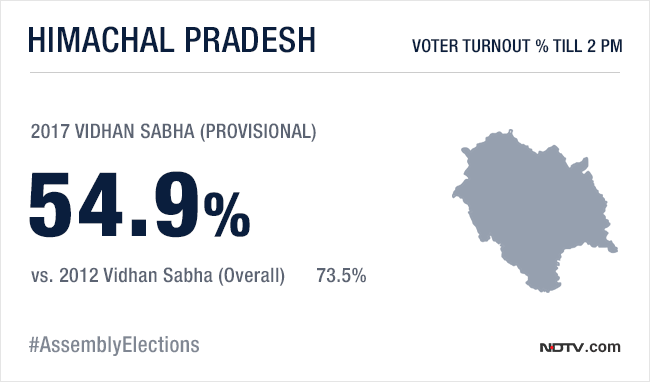 Chief Minister Virabhadra Singh, 83, of the Congress and the BJP's PK Dhumal, 73, lock horns again today as Himachal Pradesh votes for a new government. The BJP hopes the state will continue its trend of not voting the same party to power; Virbhadra Singh and PK Dhumal have alternately been Chief Minister for the past 24 years. Results will be announced 40 days later on December 18, along with those for Gujarat, which votes next month. PM Modi addressed seven rallies in Himachal Pradesh ahead of the polls, saying at one that he need not have campaigned since local leaders are much loved and the state has already decided to vote for the BJP. Party chief Amit Shah addressed six rallies. 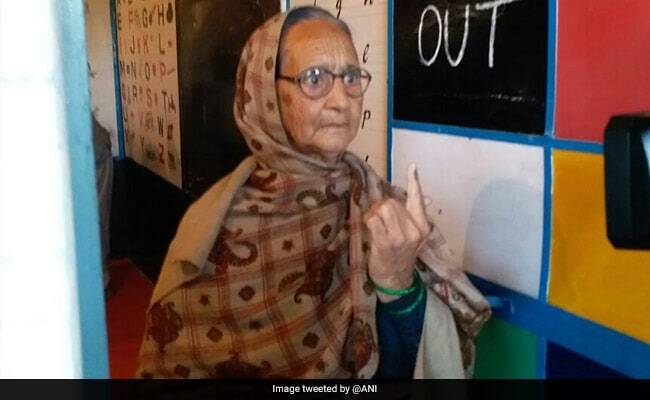 Barfi Devi, a Samirpur resident, shows off her inked finger outside her polling booth. PM Narendra Modi this morning urged people of Himachal Pradesh to vote in record numbers. 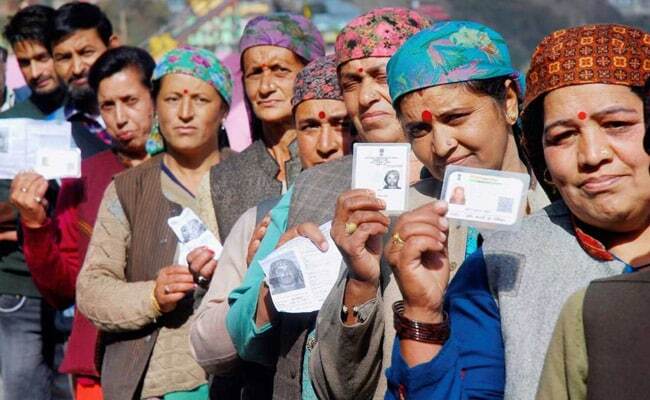 "Today is the voting day in Himachal Pradesh. I appeal to all voters to participate in this celebration of democracy and vote in record numbers," tweeted PM Modi. Early voters queue up to vote at a polling booth in Dharamshala. Visuals from a polling booth in Bilaspur in Himachal Pradesh. Voting begins in the 68 constituencies of the hill state. BJP chief Amit Shah has tweeted before the polling kicks off. "I appeal to all the people of 'devbhoomi' Himachal to restore the pride of Himachal and help form a government that works for the development of the state," he wrote. Polling for the 68 assembly constituencies in Himachal Pradesh will begin at 8 am.